We know that our clients need answers fast and some like to see the source. So we provide links to the websites that matter to you! The Franchise Tax Board This is where you file your California State taxes and learn about other business compliance issues. The Department of Industrial Relations The Department of Industrial Relations was established to improve the working conditions of California employees and to advance opportunities for profitable employment in California. Here you can learn about labor law and how to be an employer in compliance. California Secretary of State Go here to learn about Trademarks, Business Entities, to find forms and publications needed for partnerships and corporations, news alerts about business fraud, and many other services offered to citizens of California regarding elections, etc. 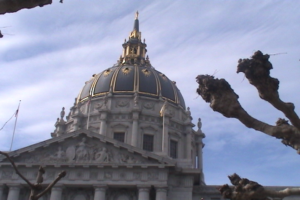 City and County of San Francisco Tax Collector’s Office This office is your one stop shop for finding your fictitious business names, acquiring a business license to do business in San Francisco, how to pay your taxes, and many other services. California Board of Equalization Go here to file for a Sales Tax Resale License (so you can buy wholesale without paying sales tax) and to prepare, file and pay Sales Taxes when due. There are strict penalties and interest charges when you don’t file on time. If you are a business who sells products, you must be registered with the Sales Tax Board of Equalization if you want to be in compliance! Let us know what else is useful and we’ll find some links for your easy access!